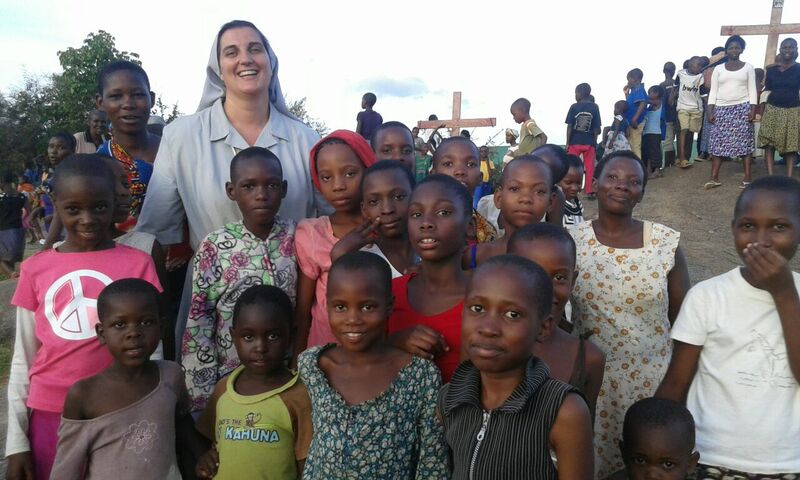 In June 2004, Ludovick J. Minde, Bishop of Kahama, invited the Sisters of the Sorrowful Mother to open a mission in his diocese, located in the Shinyanga Region of northern Tanzania. 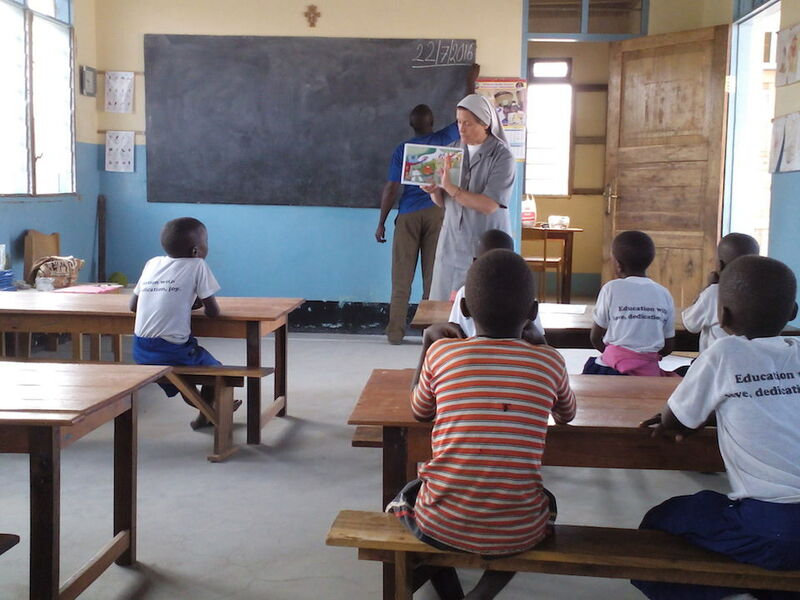 After a process of congregational discernment, some sisters were sent to Ifunde, a village about 28 km from Kahama, to the parish of St. John the Evangelist, which also includes 20 other villages. 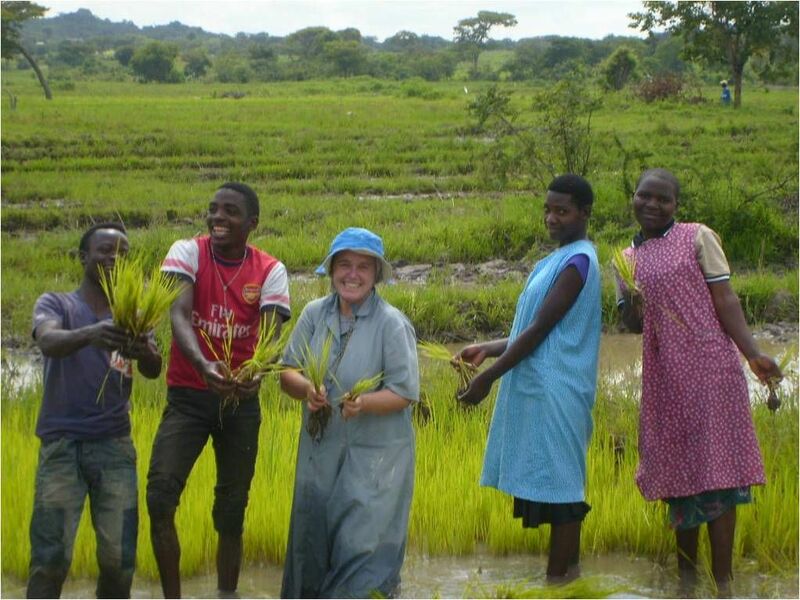 Beginning in 2018, a new community will be present in Mwanza, on Lake Victoria. 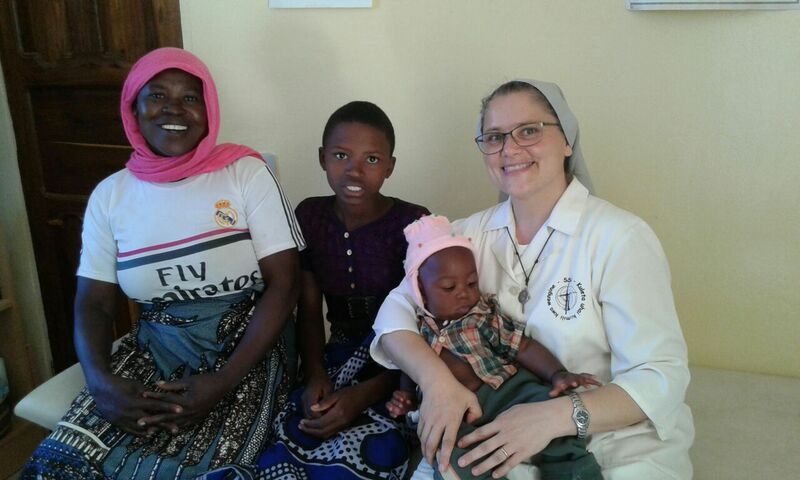 Sharing life with the local people, the sisters try to minister to the daily problems and challenges regarding health, literacy, child education, evangelization and youth ministry. With about 35 patients a day, our outpatient clinic serves an area of more than 40 villages. 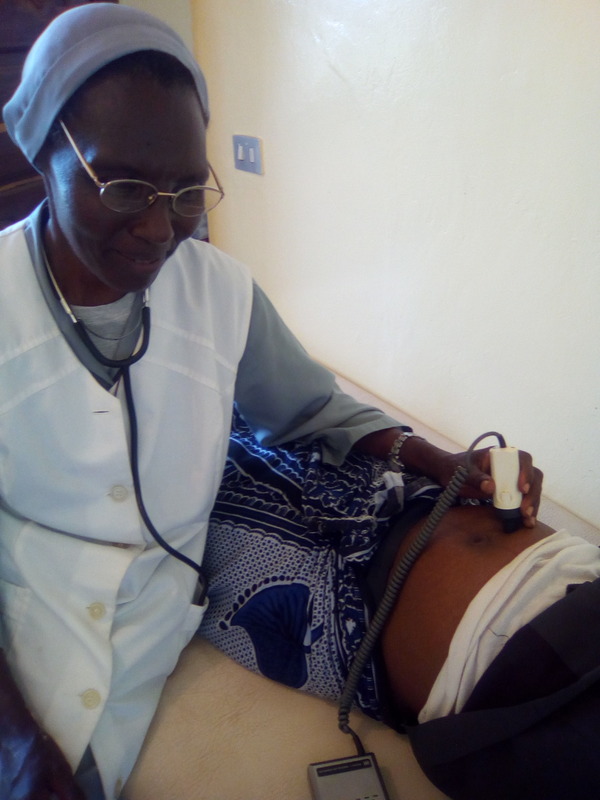 One doctor and nurse, who are sisters, assist annually about 4,000 people coming from the nearby villages which are far from the city hospital. 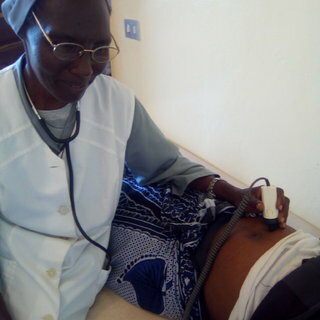 A few years, thanks to new equipment, the outpatient clinic began to offer several diagnostic and ultrasound tests. Child mortality has been decreasing due to information and education around some tropical and viral diseases which claiming many victims in this area. We have been taking care of the youngest children who are often left alone in the street since the beginning of our mission. 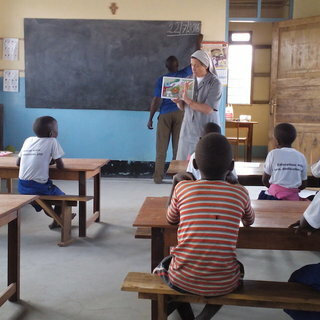 Now, two sisters take care of the children of 5 kindergartens in our parish which cover an area of 22 villages. 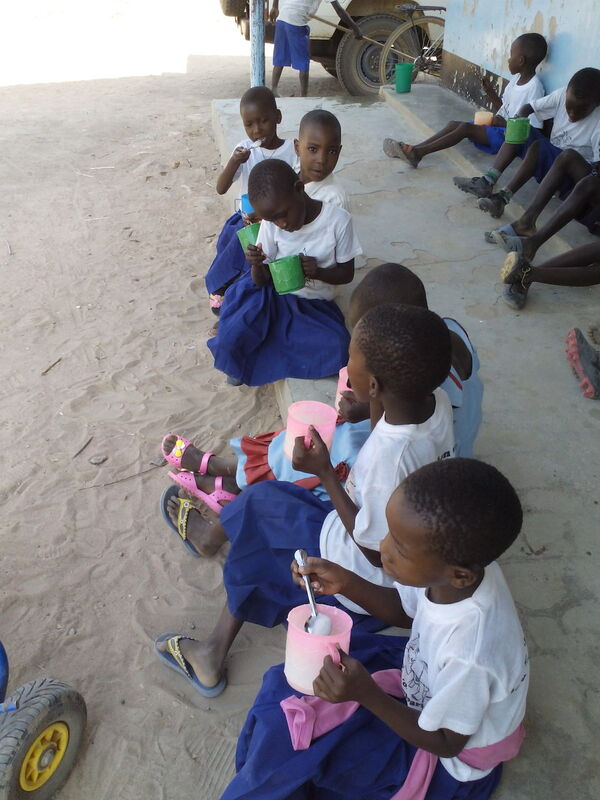 Each school is attended by about 40 children who receive teaching materials and a hot meal that they may not have at home. Formation for teacher aides in their service to the children is included in the project. 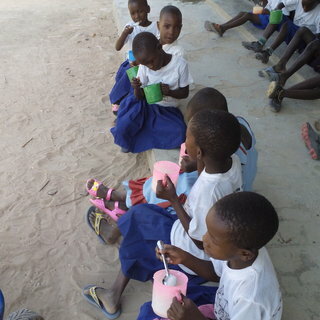 There are some elementary schools in the area; yet, their classes have up to one hundred pupils with one teacher. 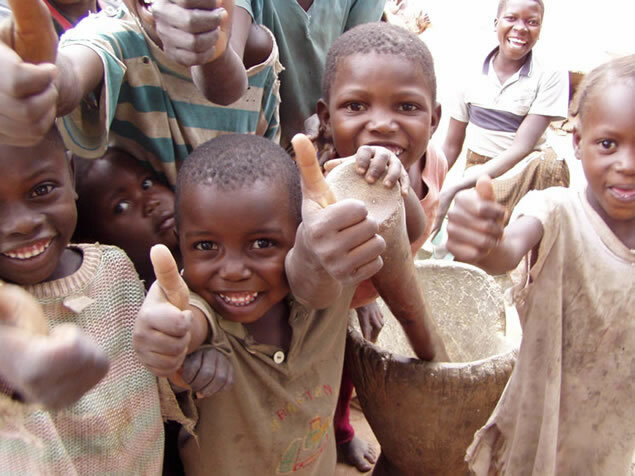 For a few years, we have been taking care of the children of the early classes through our after-school activity. We want to avoid this, as often the students leave elementary school without knowing how to read and write. The diocesan youth ministry is engaged in meetings with young people coming from 23 parishes and 80 high schools of the area. Besides themes of faith, we address themes related to human growth, formation for responsible work and prevention of sexually transmitted diseases, which unfortunately cause a high percentage of mortality especially among young people. We also address some issues related to local culture which may be detrimental to human life and self-respect if not adequately addressed. These are: witchcraft, gender inequality, rough/do-it-yourself justice which leads to burning thieves alive on the street, prostitution and labor exploitation. We promote new ideas in agriculture and livestock techniques which are needed for subsistence along with manual labor skills. A small Tau Center was built next to our community a couple of years ago. About eighty young students participate in courses, weekends or days, organized for them at this center. We work with the ever-increasing plague of young students who live in poverty, without family support, and who seek someone to pay for their studies in order to get a diploma and find a job. Unfortunately, their dream of a better life for their parents, brothers and sisters, never comes true because they have to pay for a debt in kind or by becoming the wife or the lover of the so-called “benefactor”. 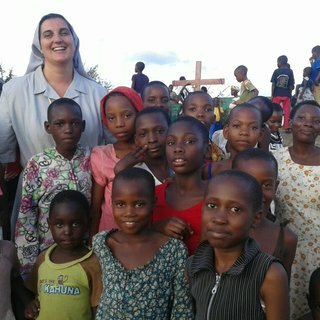 The Church of Tanzania and our parish creates groups of women who journey together to make responsible choices among themselves. 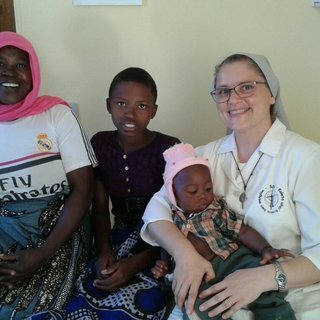 They are called “WAWATA” (Catholic Women of Tanzania). We support these groups in their integral journey of spirit, mind and body. 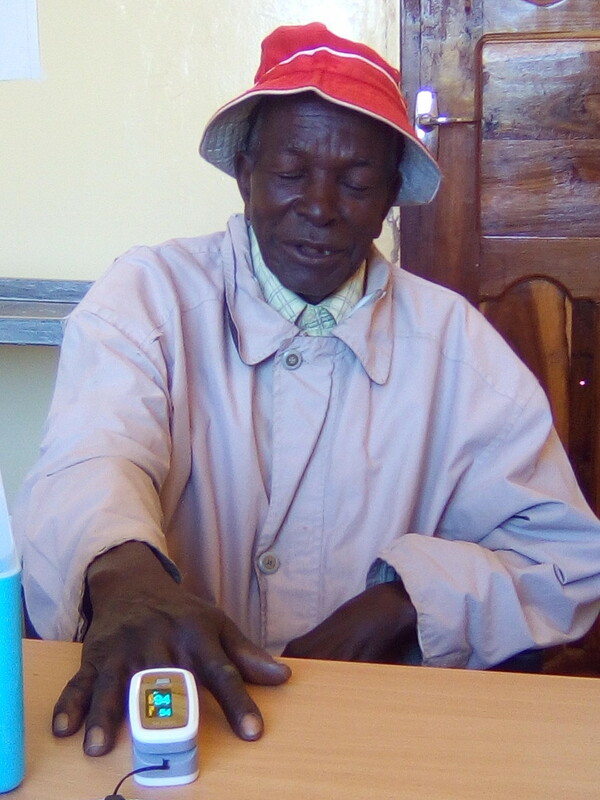 These groups carry out small micro credit projects which allow them to make a living and care for their children. Many women are left alone by their men with young children and these children would otherwise be left to their grandmothers, who, being without economic resources, would not be able to provide for their healthcare and education. Unfortunately, violence against women and various forms of exploitation are a daily occurrence. In our meetings, we address topics of education related to healthcare, children and the family, along with formation for responsible work. We offer simple listening and dialogue. The functioning of a large parish would not be possible without other smaller structures connected with the parish. They consist of about twenty families who choose their own leaders and meet in a prayer atmosphere on weekly basis. We come into contact with the daily life of the people in these communities through our weekly visits to their home. We meet with sick people and the elderly who are not self-sufficient, and the handicapped who are often hidden from families. We also have the opportunity to talk about hygiene, building for sanitation, the collection of water and food preservation. The members of these small communities help each other to organize parties, weddings, sacraments, care for the sick, funerals, and assistance when there are thefts or fires. A constant presence allows a slow but steady development within the social fabric of a territory. They are long term or temporary projects which allow small groups, especially young people, to self-finance their activities; hold meetings and workshops; give contributions for the group or individual; and learn jobs like sewing, breeding chickens, pigs, rabbits, turkeys, cultivate corn, rice, vegetables, peanuts, printing of t-shirts, make bricks, small building construction, and small handicrafts. Our mission is in the Tanzanian savannah. 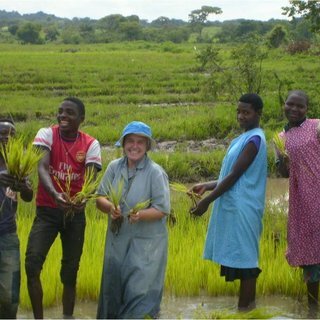 So far, the equatorial rain for 4 months a year allowed the people in the villages to have a quite stable cycle of livestock cultivation and farming. Now, rain decreased dramatically and desertification widened, also due to climate change, woodcutting for constructions, mining, tobacco cultivation and coal production. In the beginning wells were dug; yet, this system is expensive and pumps are often stolen. So, we developed a system for collecting rainwater through tanks and ditches. Another long-term project is fighting desertification and educating to respect the environment by teaching them how to plant and grow trees instead of cutting them. 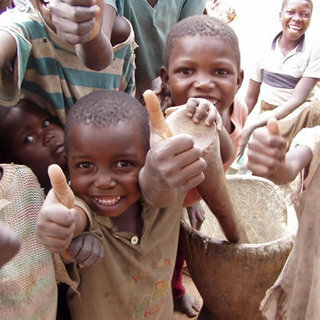 A water collection system and a well are planned for the new mission we have been preparing on the outskirts of Mwanza. Respecting the environment also means how one uses natural resources. The activities we mentioned also need electricity besides water. Some years ago our community chose the solar energy system to carry on its activities in the schools and the houses and for pumping water. The electricity was installed in our villages only recently, and, in some areas where our kindergartens are, it has not yet been installed. We planned a solar energy system also for our new mission in Mwanza. Each gift calls one to a task. Some years ago, God blessed us with the call of some young women from Tanzania who expressed a wish to collaborate in our mission. Eventually they also responded to the call to consecrated life. This is a great joy for us because it is a sign that it is God Who carries out His mission and will continue it. With joy, we have the responsibility of helping these young women to understand that if this is the best for their life then they will be able to respond to this particular call from God.